Steven (Chicagoland, United States) on 15 August 2013 in Landscape & Rural and Portfolio. Photo captured of the Grand Canyon at the South Rim on May 8, 2013. What a sensational image this makes - a perfect cover for the 5-Star guide book ! Magnificent view! Great work! Have a nice day. Wow that's beautiful - the striations in the rock, the hazy light... excellent. Excellent. great silouettes with golden light. I like. superbe, une photo qui pourrait être dans un magasine d'Arizona. bravo. I completely agree with Ronnie 2c..The God Rays are amazing too :-) Beautiful, sir! Gorgeous light and silhouettes. A spectacular shot! Stunning silhouettes!! Love this series!! so beautiful layers, colors, lights & texture! Okay. This is my absolute favourite of all these canyon shots. Stunning image ... one layer after another ... as a stage ... Very good view! Absolutely gorgeous. This is just beautiful! I love the pastel colors and all the layers of the canyon. 5*'s! Lovely sky and receding walls. brilliant light and good exposure too to capture it so well! there is just enough detail in the rocks for the eye to find and linger over with interest! fantastic! 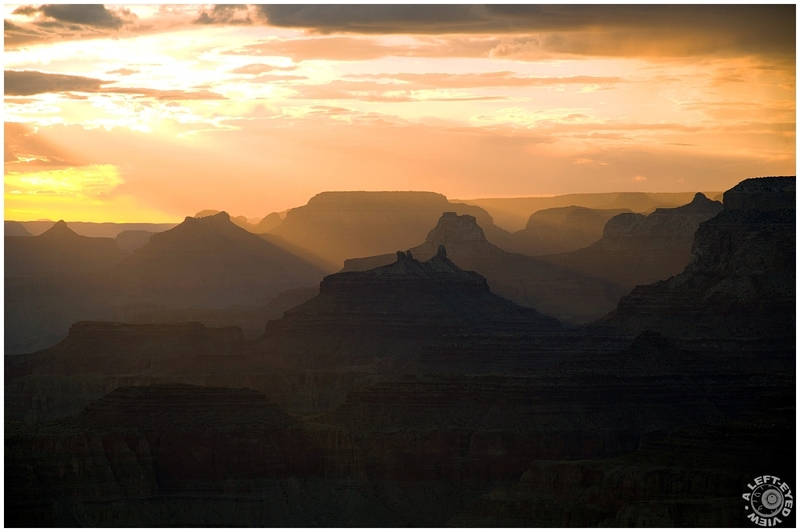 The light captured running across the canyon is absolutely wonderful !! I love it !! A fantastic frame !! Maybe...or surely. Deserved spotlight, congrats ! Excellent selection today !! @Basile Pesso: You are a very good predictor! Many thanks! A very beautiful capture with magical light ! Congratulations on the Spotlight ! I am not posting at the moment just commenting . . . and Congratulations on the Color Spotlight, too ! Nice one. congrats for this magnificient picture. Congratulations on the C.Spotlight ! Beautiful picture, Steven! Practically in my backyard. :) Congratulations! Superb, like a lot and bravo for the well deserved color spotlight ! Un spotlight tout à fait mérité! Congrats on the Color Spotlight. Congratulations on the Spotlight, Steven! Well deserved! Stunning view ... the silhouettes and light are absolutely fabulous !!! Congratulations on this very well deserved Spotlight Steven !!! Congratulations with your Color Spotlight! very belated congrats! the spotlight is more than deserved for this strikingly beautiful scene !!! The image conveys a sense of calm that can not be described. Félicitations Steven ! C'est magnifique !